Calm weather returns to our forecast, but how long does it stick around? MONTGOMERY, AL (WSFA) - An active Saturday night and Sunday morning of strong to severe storms has come to a close, and that weather system is now hugging the east coast. Our threat for severe weather has ended, and we are left with breezy and cooler conditions. 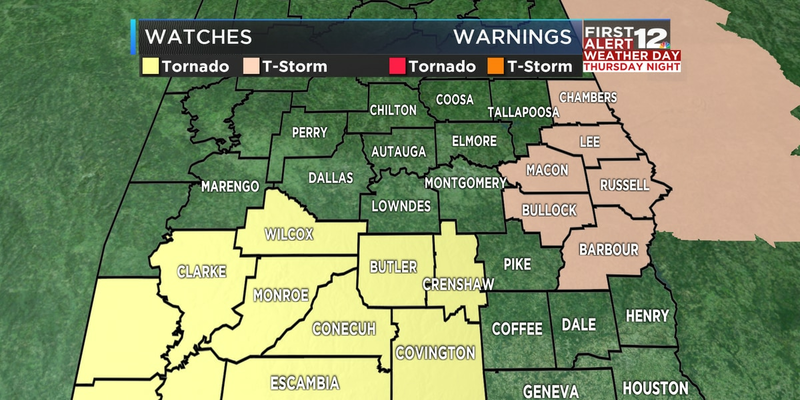 We’ve confirmed tornadoes associated with this morning’s storms, including one that moved through Troy; for the latest on storm damage reports, click here. Now, a few isolated showers are popping up in central Alabama, but most everyone is dry. Cooler air is rushing in, and temperatures will dip into the 40s by sunrise. 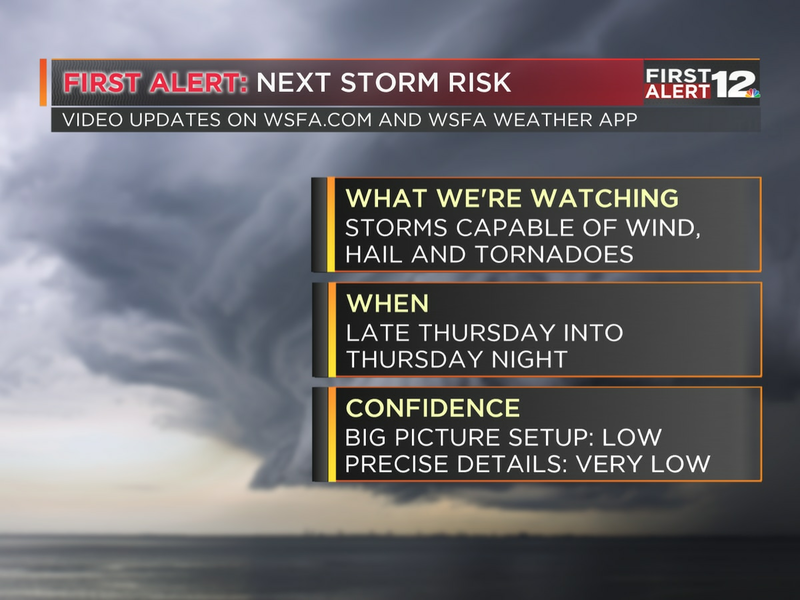 Models generally agree that a potent storm system will take shape west of Alabama late Wednesday, then move into a warm and unstable environment over Alabama Thursday. The take-away? Strong storms are possible yet again. We’re monitoring this closely and will keep you posted as the week progresses. In the meantime, enjoy the nice weather!